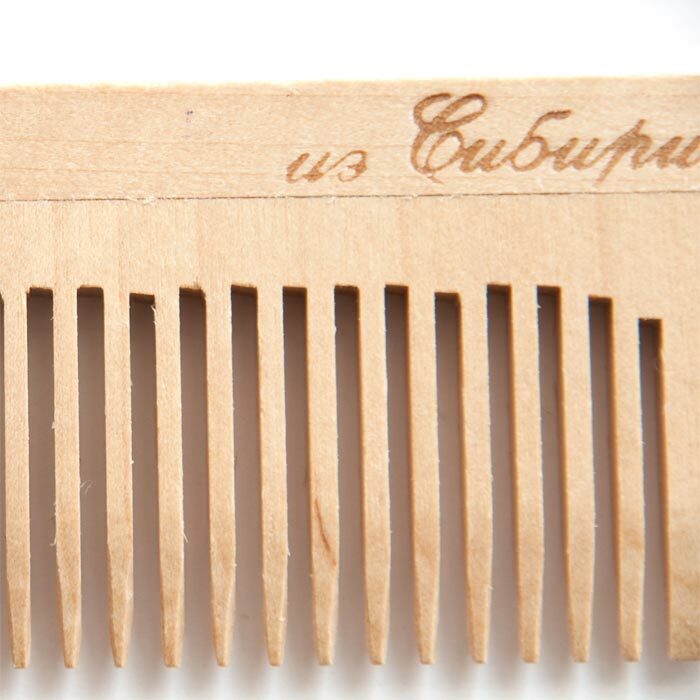 Wood Comb with Handle is made of birch tree wood in Russia in ecologically clean region Altai (Siberia). Wooden combs will help you to keep your hair in healthy state, it does not create static electricity, messages your scalp and improves blood circulation in skin of your head. 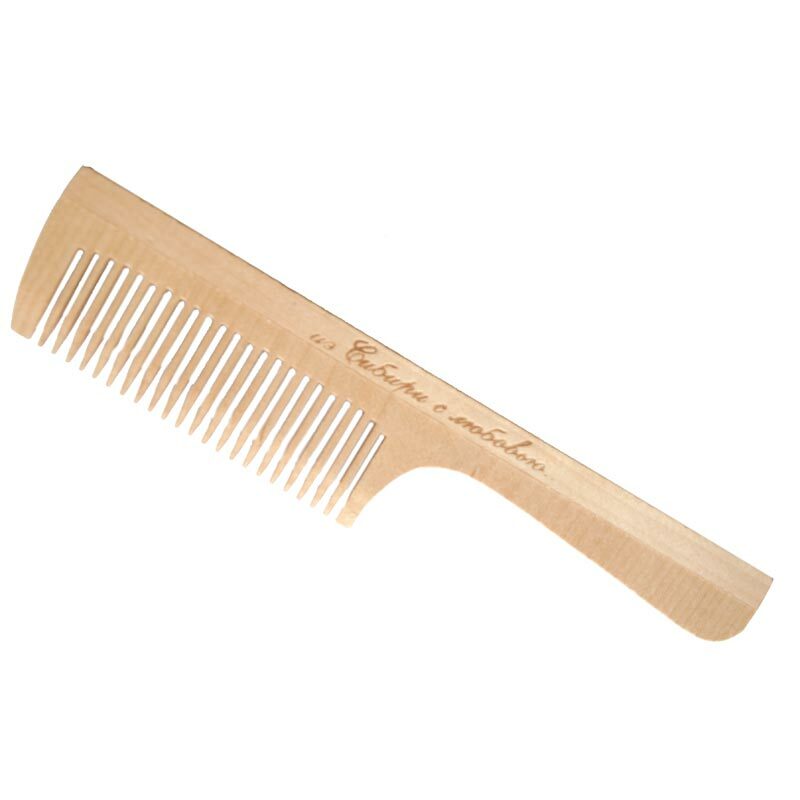 The comb does not finished with any lacquer or oil so it is natural. Size of teeth/teeth space is 2/2 mm.